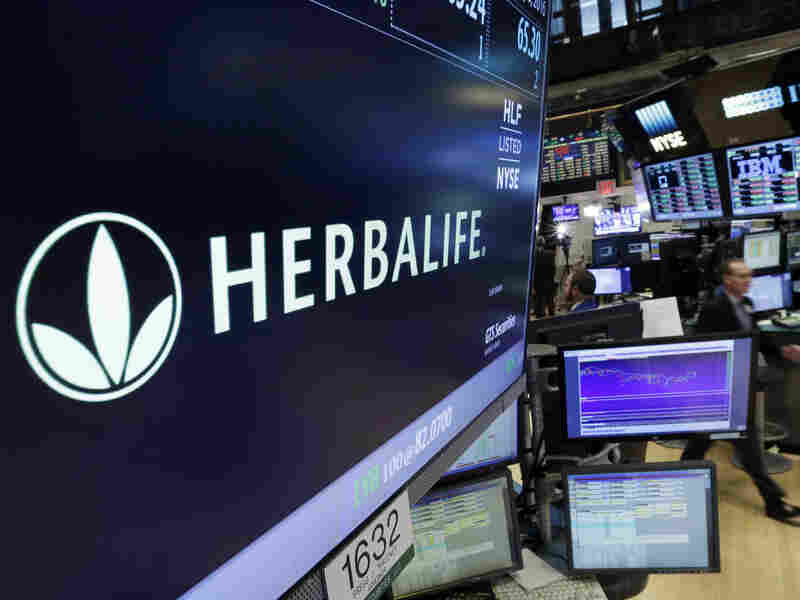 Herbalife Agrees To Pay $200 Million To Settle Complaints It Deceived Consumers : The Two-Way The FTC has ordered the company to revamp the way it compensates distributors, but because the punishment wasn't even tougher, Herbalife's share price rises. Shares of Herbalife rose after the Federal Trade Commission's decision, and the company says it's ready to move on. Herbalife has agreed to pay $200 million to reimburse consumers who lost money on its nutrition supplements and will also make major changes in its sales and distribution practices, the Federal Trade Commission announced on Friday. Still, the FTC had extremely tough words for Herbalife and made clear it sees many of its practices as deceptive. Among other things, the FTC said Herbalife would have to revamp its compensation system so that participants are rewarded for how much they sell, not simply for signing up new distributors. At least two-thirds of a participant's compensation must be based on actual sales that can be tracked and verified, it said. "Finding themselves unable to make money, the FTC's complaint alleges, Herbalife distributors abandon Herbalife in large numbers. The majority of them stop ordering products within their first year, and nearly half of the entire Herbalife distributor base quits in any given year." Harsh as the decision seems, it is a big blow to hedge fund manager Bill Ackman of Pershing Square Capital Management, who has been trying for years to tar Herbalife as little better than a pyramid scheme. Ackman reportedly shorted the company by a billion dollars, essentially betting that it would fail, in which case he would have made a lot of money. But after the FTC's announcement allowing Herbalife to keep operating, its stock price rose.